William Blake was a brilliant writer of inspiring poems and a versatile artist. “Ancient of Days” was Blake’s inspiring water color tribute to creation and eternity; an attempt to elucidate a vision of eternity in a mortal span of time. Here on display for a brief period during this winter season are two sculptured replica’s made by our very own (and very mortal) Edd Fenner. 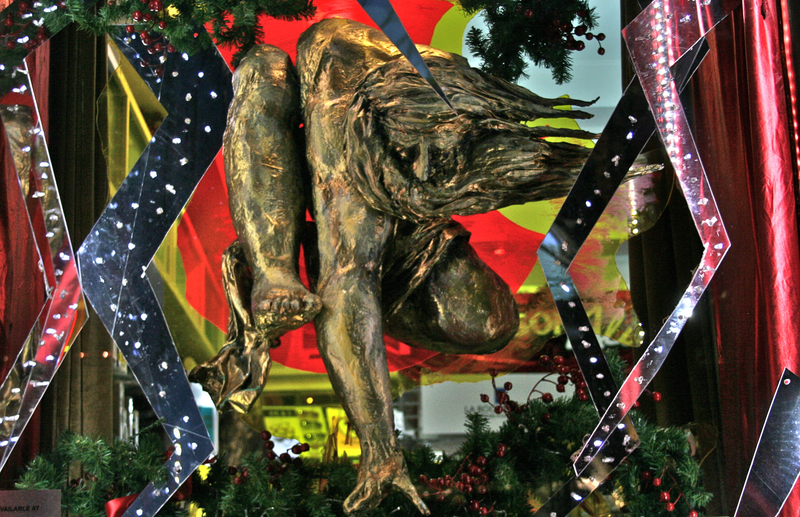 There is one on display at each store window of 449 West Broadway & 137 Thompson Street (btwn W.Houston & Prince Sts.) during this winter season. If you pay attention to the details you will notice their uniqueness while staying true to the original art form.